So the big music event this year for EDM fans was Deadmau5 hitting Sunway lagoon May 7th for a LED Concert! I managed to get in thanks to BRANDTHINK and Carlsberg Malaysia! I do write about Music sometimes – and I definitely want to go to more awesome concerts this year. We headed to Sunway early to grab the tickets and have a bite to eat, the traffic was pretty terrible (as usual in that area!). 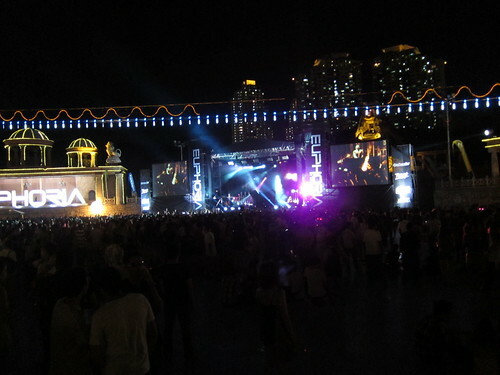 It was quite packed when we headed inside (around 8pm) and Deadmau5 was rumoured to be coming out at around 9.30pm. The DJ before Deadmau5 was quick banging thankfully, so he got the party warmed up nicely. He came on about 9.45pm and started with some of the more ‘normal’ tracks, he saved his epic tracks for later on. Honestly I’m not a big fan of the more monotonous of his tunes like FML. 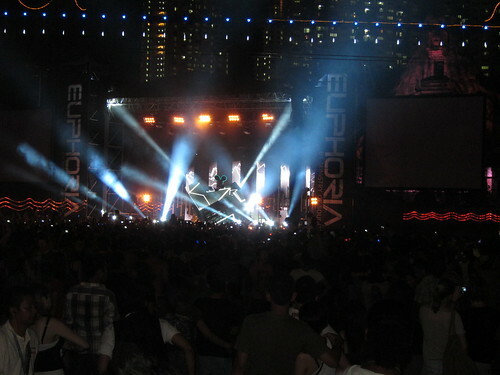 When he came out the crowd went WILD, there’s a lot of Deadmau5 fans in Malaysia I can say that for certain. The Full LED show was actually pretty impressive, the way the cube and the backdrop lights were syncronised, it was visually very stimulating! Of course when dropped those epic tracks like Raise Your Weapon (my absolute fav), Ghosts and Stuff and Strobe the crowd went NUTS. 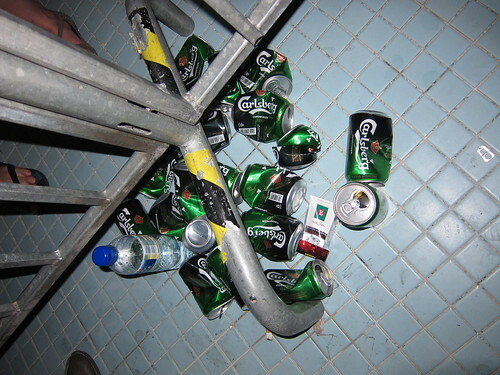 It was hot and we were thirsty – so we did some damage to the Carlsberg stock haha. I didn’t spend all my time videoing the epic songs because I was too busy enjoying them. Much better than holding a camera in the air 😀 I did catch a bit of Moar Ghosts n Stuff though. We headed off during his last song or so to avoid the massive exodus of people and the jam. Supper was definitely on the agenda after all that jumping around – so off to Asia Cafe we went. All in all a good night! You were the beer smuggler, and very good at it hahaha.